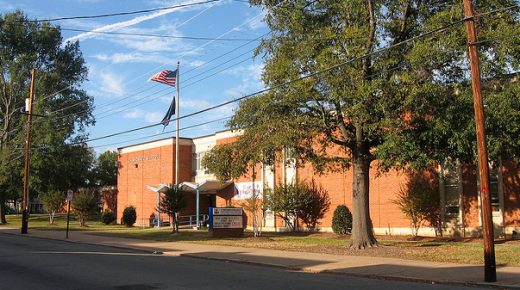 Interested in checking out Chimborazo ES? Come on a tour Tuesday Feb. 11 at 9:30 AM or Wednesday Feb. 12 at 9:30 AM. Email catherineillian@gmail.com for more information. If you’d like to go on a tour but can’t make next Tuesday or Wednesday, give us a shout out and we’ll schedule another one for you. We are well on our way to becoming an International Baccalaureate Primary Years Programme School. Here is an update on our progress. Students and teachers are hard at work as each grade level wraps up their third unit of inquiry. The 2nd 9 weeks have been full of student-led learning! Pre-Kindergarten students are thinking critically as they discover the ways we use our bodies to communicate with the world around us. Kindergarteners are becoming citizens of the world as they study maps, globes, cultures, and traditions. First graders are embracing the IB attitudes as they develop community and learn about how we express ourselves. Second grade students are drawing connections to realize how customs help to express beliefs and values. In third grade, students look forward to using their creativity in tackling difficult problems and reflecting on their learning. Fourth graders are taking on the roles of inquirers and communicators as they participate and engage in their learning. Fifth grade students are becoming open-minded as they recognize multiple ways to solve math problems! As a school, our students have been eager to write about and share their learning. The students have become open-minded and interested in the customs, viewpoints, and traditions of those around them. We are all looking forward to facilitating our students’ learning as we approach the second half of the school year! You can’t help but be inspired if you get a tour with Principal Burke!